President Donald Trump warned that there are terrorists and other criminals embedded in the thousands-strong migrant caravan currently in Mexico headed to the United States. In a tweet on Oct. 22, Trump said that “criminals and unknown Middle Easterners are mixed in” the caravan. “I have alerted Border Patrol and Military that this is a National Emergency. Must change laws!” he added. Univision correspondent Francisco Santa Anna reported on Oct. 19, that people from Bangladesh were found inside the caravan and were detained in an immigration facility after attempting to join the migrants who crossed from Guatemala into Mexico. The borders in Central America aren’t as strong as the ones in North America, making it possible for people to “cross easily” from country to country, he added. Bangladesh is a known hotspot for terrorism, dozens of natives have fought for the terror group ISIS, and the country is home to more than 141 million Muslims. 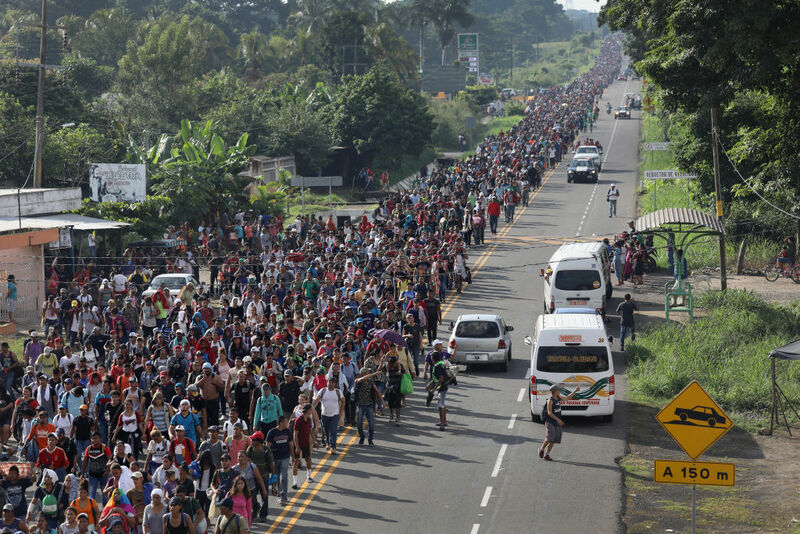 A Judicial Watch staffer embedded in the caravan also reported that Bangladeshi natives were part of the caravan, along with natives from a number of other countries nowhere near Central America, including Congo, Sri Lanka, and Angola, according to Tom Fitton, the group’s head. Sara Carter, a Fox News contributor who has also been traveling with the caravan, said that Guatemalan intelligence discovered people from India, Bangladesh, and Africa in the Caravan. “I bumped into a number of young MS 13 gang members,” she added, referring to the notorious gang that almost exclusively recruits from among newly arrived migrants to the United States. Trump’s statement on criminals being part of the caravan is easily verified, as dozens of the migrants in the caravan have admitted to being deported previously. Entering the country illegally for the first time is a misdemeanor, while entering illegally after having been deported is a felony crime. In addition, most of the migrants illegally entered Mexico from Guatemala, ignoring requests from Mexican authorities to proceed according to Mexican law. Officials said it’s not unusual for Middle Easterners to attempt to illegally enter the United States. “It is not unusual to see people from Middle Eastern countries or other areas of the world pop up and attempt to cross our borders,” Jonathan Hoffman, a Homeland Security official, told reporters in a conference call on Monday. White House press secretary Sarah Sanders, said that the administration has evidence of Middle Easterners and criminals in the caravan. “We know this is a continuing problem,” she told reporters. The Department of Homeland Security said that in the fiscal year 2018, border patrol apprehended 17,256 known criminals as well as 1,109 gang members. In addition, 3,028 aliens from countries such as Bangladesh, Pakistan, Nigeria, and Somalia were stopped from entering the country. The department also stated on its website that it refuses entry to seven known or suspected terrorists every day. Guatemalan President Jimmy Morales said at a recent conference that included U.S. Vice Preside Mike Pence that his administration has captured around 100 ISIS terrorists. Many migrants either start their journeys from Guatemala or pass through the country on their way north. Some of the terrorists were Syrians caught with falsified documents. There have also been cases in the past that have involved terrorists or people from countries linked to terrorism. For instance, in 2011, three Pakistani citizens pleaded guilty to trying to smuggle a member of the Taliban from Pakistan to the United States via Ecuador. And a House Committee on Homeland Security report released in 2006 said that members of the Hezbollah terrorist group entered the United States by crossing the border illegally sometime before 2005, reported Fox News. 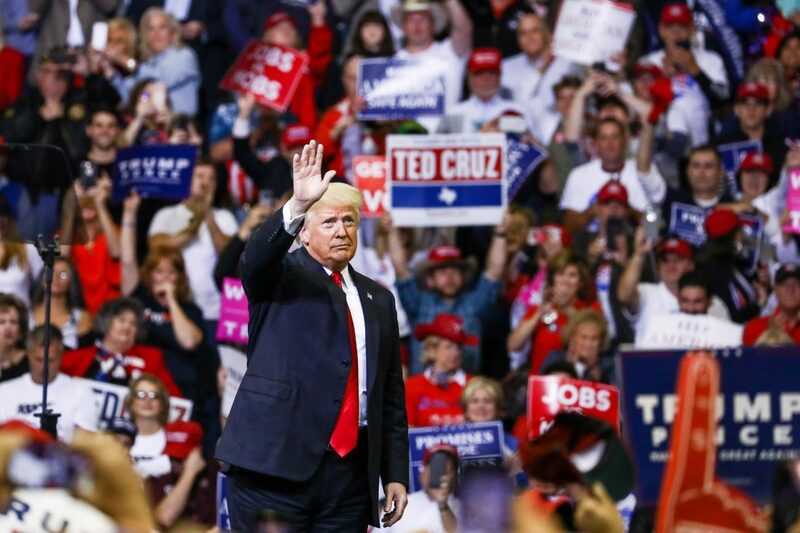 At a rally in Houston, on Monday, Trump said the Democrats are to blame for the caravan. “You know how the caravan started? I think the Democrats have something to do with it. They made a big mistake. That is an assault on our country,” he said. Carter reported that caravan members told her the caravan was organized but wouldn’t disclose which group or persons organized it. An organizer with Pueblo Sin Fronteras, a group that organized a caravan earlier this year, has been traveling with the current caravan, reported the Associated Press, and another organizer, Denis Omar Contreras, was reported by La Jornada as one of those responsible for organizing the caravan.